Since Tesla was already taken, Nikola Motor Company had to settle for the sloppy seconds of the inventor's first name when christening their own feats of electrical transport. But neither the Nikola Zero nor its big brother, the Nikola One, are in any way copycats of or competition for Teslas Motors' Model S, X, or 3. 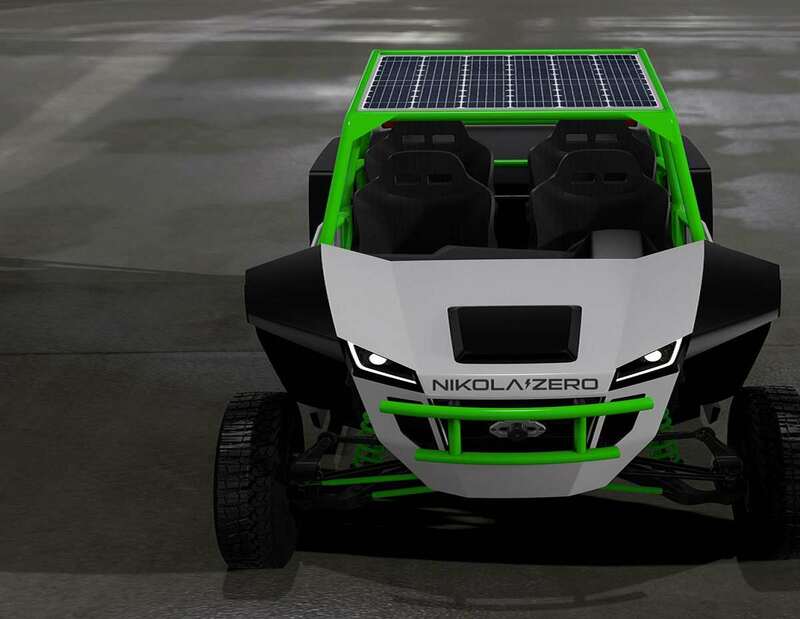 The Nikola Zero, shown here, is an electric off-roader. 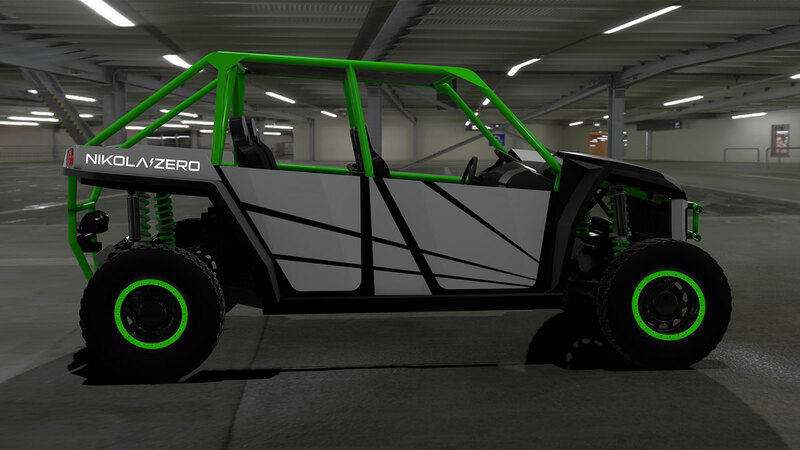 A utility quad that loads up you and 3 of your best buds to roar over rocks, trails, and dunes at 3 times the horsepower of its true competition, the likes of Polaris' RZR 1000 or Can-Am's Maverick Turbo. As you would guess, the Nikola Zero functions pollution-free and in near silence. What's maybe harder to believe is its electric drivetrain is able to smoke gasoline engines in a host of other categories too. 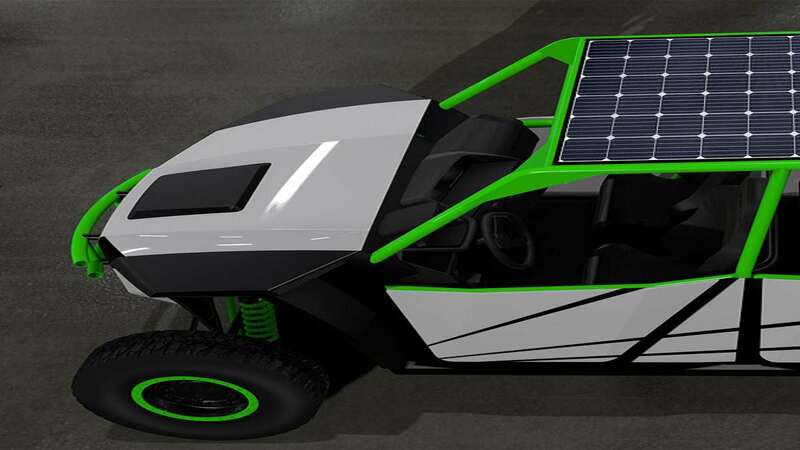 Operating at 95% efficiency, this UTV gives its drivers instant torque and horsepower. 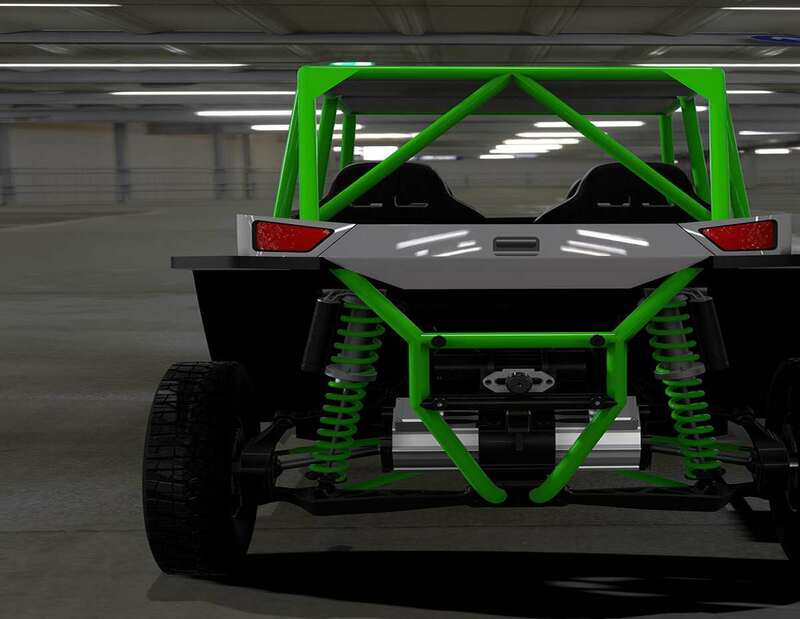 Whether trundling up a hill, rock crawling, or steering into a jump you'll have 80% of your total 476 ft-lbs torque available as early as 3500 RPMs. Pair that with 520HP at your disposal just as fast. 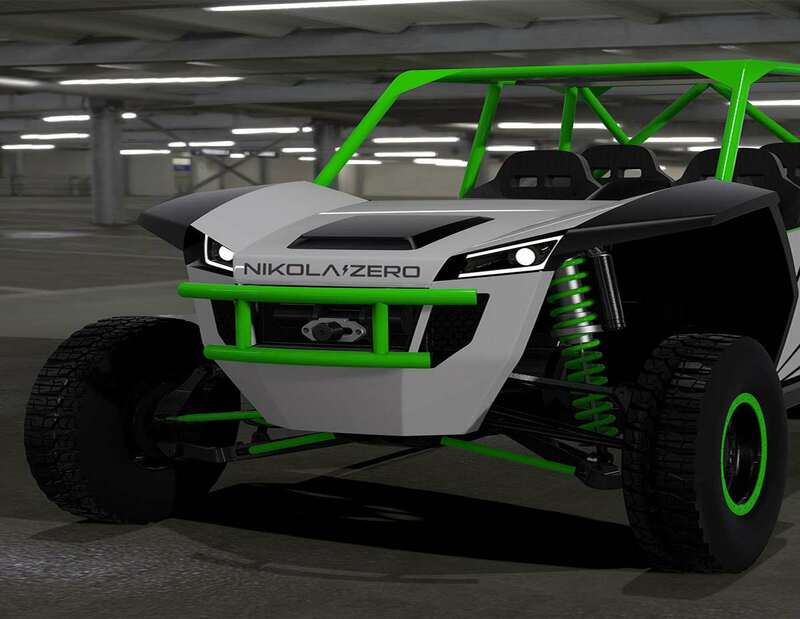 The Nikola Zero can go from 0 to 60 in a little over 3 seconds. Waterproof with IP67 rating on all parts. That means the Nikola Zero is fully submersible. Like, you could drive it underwater. Technically. However, the company strongly discourages this act of jackassery because being waterproof and being able to float are entirely different things, and the Zero definitely cannot float. Belt-free! No belt will ever snap, dislodge, or wear down on the Nikola Zero because it has no belts to its name. Screen-filled! For all the belts it doesn't have, the Zero adds a screen. It comes standard with 2 x 7" screens and 1 x 10" monitor. These form the digital instrument cluster and output all vehicle dynamics and stats, including current battery life, range, temperatures, elevation, and optional backup cam. User profiles. Create online profiles for yourself and your friends / family to set parameters for UTV use and track individual metrics. For example, you'll obviously want full reign for yourself at 100% power, speed, and distance. But maybe the kiddos cleared for driving should be limited to 15 MPH and a 2-mile radius from the point of departure. Maybe your reckless and untrustworthy friend Cornelius should be stuck with such provisions too. All profiles have associated PIN numbers drivers use to unlock the Nikola Zero and start driving according to their settings. By the way, the other Nikola Motor Company release I mentioned is a 100% electric--wait for it--semi-truck. Yep. It's called the Nikola One, and you can check that $375,000 bad boy out here.